How Much Do America's Big Corporations Pay In Taxes? 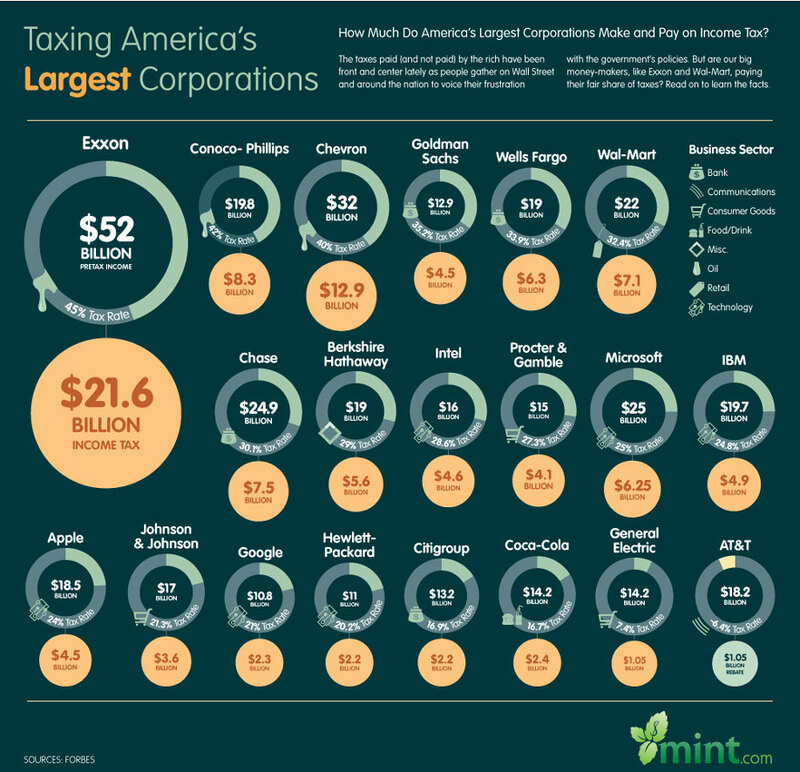 Infographic: How Much Do America’s Big Corporations Pay In Taxes? The taxes paid (and not paid) by the rich have been front and center lately as people gather on Wall Street and around the nation to voice their frustration with the government’s policies. But are our big money-makers, like Exxon and Wal-Mart, paying their fair share of taxes? Read more on the infographic created with Mint to learn the facts.